Bagasse is the by-product of the sugar industry and is also one kind of papermaking fiber material. As the foundation of paper and pulp industry, fiber materials include wood fiber and straw fiber. Except for the sugarcane bagasse, there are some other materials like wheat straw, reed, bamboo, and kenaf, etc. 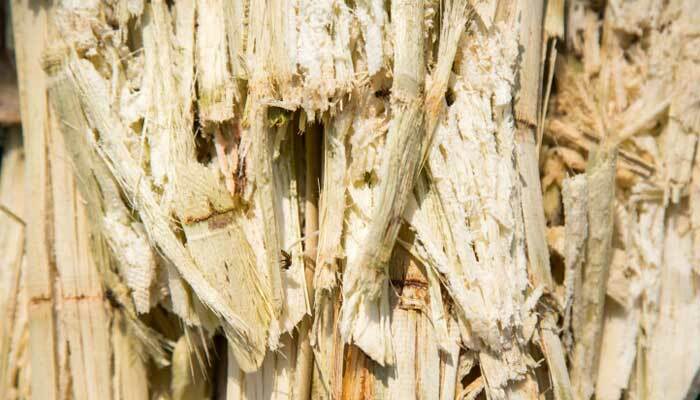 Among all kinds of fiber materials, bagasse is low-cost and inexhaustible to make paper pulp. The bleached bagasse pulp can be mixed to certain quantity of macrofiber and used to manufacture various high-grade cultural paper and living paper, such as bodystock paper, copy paper, two-side offset paper, sanitary tissue, napkin and etc. With the proper manufacturing process, the bagasse pulp also can be applied to make coated art base paper or newspaper. Sugarcane is annual rhizomatous plant, the average length of fiber is usually 1047-3.04mm. After squeezing, the length of bagasse fiber is similar to the hardwood fiber, is 1.0-2.34mm. Bagasse pith is a parenchyma cell, it reduces the opacity and strength of paper, and increase the chemicals consumption and difficulty of manufacture. So the depithing is important for bagasse pulping. Sugarcane bagasse belongs to the straw fiber, is easy to cook or bleach and requires fewer chemicals consumption. Because silicon content of bagasse is lower than other straw fibers, which decide the bagasse pulp process or equipment is more mature and easy. Bagasse pulp process includes materials preparation, pulp cooking, pulp washing, pulp screening and pulp bleaching. Traditional bagasse preparation can be divided into three steps. Firstly, do the first half-dry depithing in the sugar factory. Secondly, after depithing, package the materials to the paper mill and stock through dry method. Thirdly, use the vertical or horizontal depithing machine deal the bagasse with the dry method of depithing, and the certified bagasse fiber for paper making is prepared. Avoids the color and whiteness of bagasse pulp getting bad. Improve the quality of bagasse pulp. Reduce the chemicals consumption and storage loss. Avoid the bagasse blowing and fire disaster. Less cooking time, alkali charge, steam consumption required; High pulp yield(under same K value, the yield of this cooking process is 5% higher than others), even quality and high strength of bagasse pulp; Avoid the peak load of steam in the batch cooking process, and good for heat recovery. Overall process design is compact, and easy to handle. 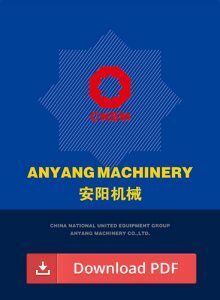 The whole system is reliable and safe, less maintenance and labor cost required; apply for large-scale pulp mills. Cold blow reduces the fiber damage, increase the strength of pulp. Because the bagasse has light volume-weight, big compressibility, high liquor absorbing ability, the continuous cooking digester is more suitable. Washing equipment for bagasse usually uses vacuum drum washer. With the advantages of low cost, easy operation and high extraction of black liquor, many paper and pulp mills adopt vacuum drum washer. There is another type of washer named horizontal belt washer, it has lower alkaline recovery rate and bigger pollution load compared with vacuum drum washer. Traditional bagasse pulp screening adopts open type low concentration screening system. The screening system is consisting of CX screener and low concentration grit separator. Screening level is 0.8-1.0%. Water consumption per ton reach up to 100m³, the quantity of wastewater effluent reach 75m³, which increases the production cost of bagasse pulp making. The traditional screening system has big water consumption, bad quality of pulp, big waste water production. For changing the bad situation, the Medium concentration closed screening. Bagasse pulp is easier to bleach, normal CEH bleaching can bleach the bagasse pulp into 80% ISO, so it is widely applied to the traditional bagasse pulp production line. In recent years, chlorine bleach produces the waste liquor contain the Dioxin, which is bad for environmental protection. Less chlorine bleaching or chlorine-free bleaching will be the main current in the future. Recently, the H2O2 is produced in the pulp bleaching process, to reduce the chlorine consumption, replace CEH bleaching with CEHP bleaching. The H2O2 bleaching pulp has high whiteness and stability. H2O2 has high bleachability and produce fewer pollutants and less damage for bagasse fiber. Turn waste into wealth. In the past, the sugarcane bagasse is generally used as fuel to burn. If the bagasse is used to make paper pulp, the value will increase 3-5 times compared with being fuel. As the materials for pulping, per ton sugarcane bagasse can replace 0.5-0.8m³other fiber materials. For dealing with the pressure of wood shortage, make full use of bagasse to making paper. Sugarcane has high regeneration ability and it is a superior fiber material for paper and pulp making. In a word, bagasse pulp protects our resource and zoology.